I like the horizontal graphics and layering. Excellent capture...I like the reflection. 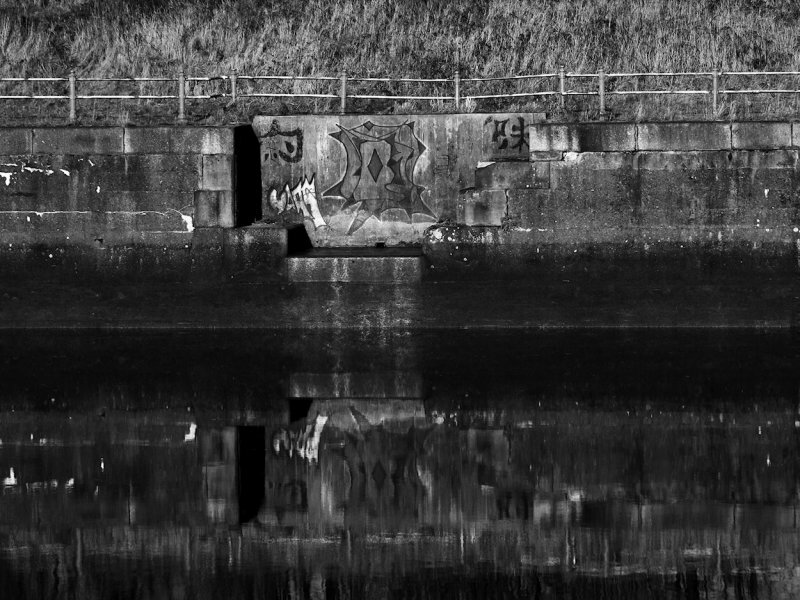 You wouldn't think grafitti would work so well in b&w buit it really does! Great reflections as well! Why? Why do people scribble graffiti on things? Nicely done in B&W with a great reflection. ... you just wonder what victory they commemorate! Superb in N&B. This makes me dizzy! I like it though, it is quite abstract! Very cool....love all the deep shadows in this. Great shot! Another nice reflection shot. Well done. Well mannered Graffito, unlike here in Southern California. Nice reflection shot. There's a huge range of tones here, Bernard - very cleverly captured, I like this lots! Very nice ~ nearly abstract! Subtle emotion! A different look. This could be interesting. Great image Bernard, the texture and the sharpness make this great. Nice, impressionistic feel to it. V.